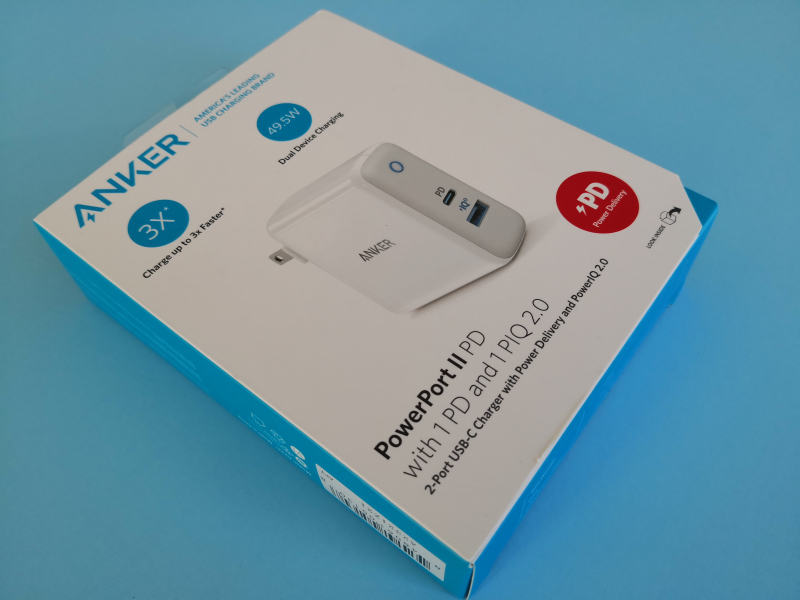  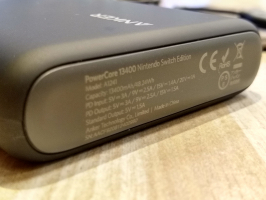 The Anker PowerPort II with Power Delivery is a more recent release by Anker supporting both USB Power Delivery and Anker's own branded PowerIQ technology for rapid charging. 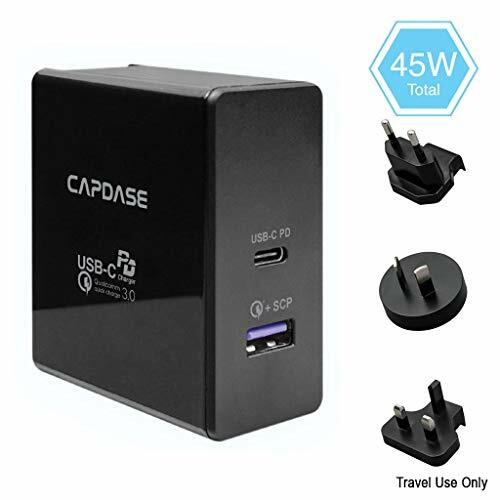 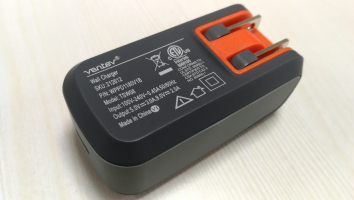 The ac wall charger supports common USB Power Delivery 2.0 profiles of 15 watts (5 volts @ 3 amps), 27 watts (9 volts @ 3 amps), 30 watts (15 volts @ 2 amps) and 30 watts (20 volts @ 1.5 amps), allowing you to charge most phones in the market such as the Apple iPhone XS Max or Android phones such as Google's Pixel 3 XL and the Samsung Galaxy S9+ or even tablets and smaller notebook computers like Apple's 11-inch iPad Pro (2018) and MacBook (Early 2016). 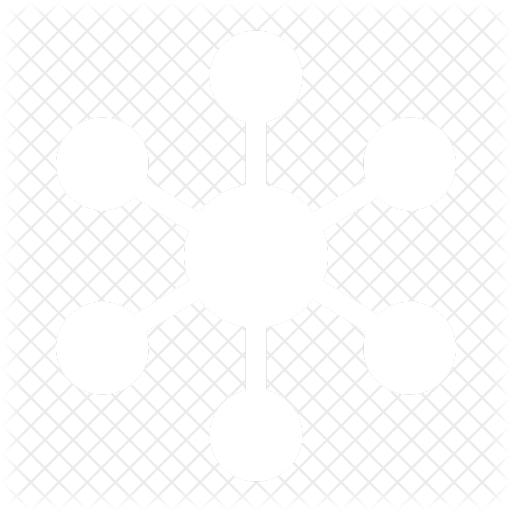 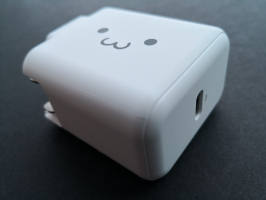 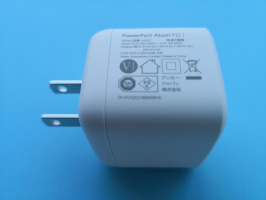 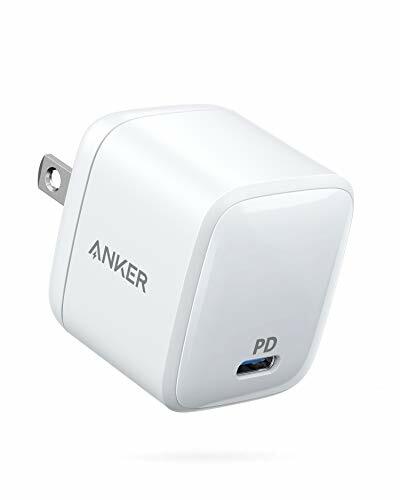 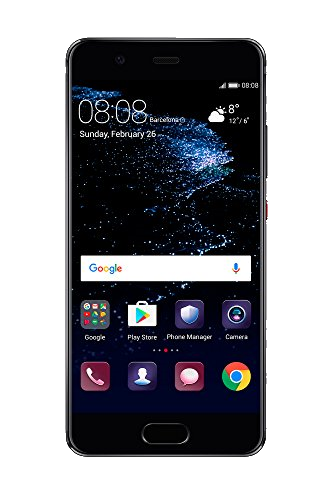 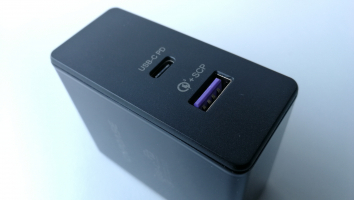 It is similar to the Anker PowerPort Speed PD 30 charger which shares the same Power Delivery profiles over the Type-C interface. 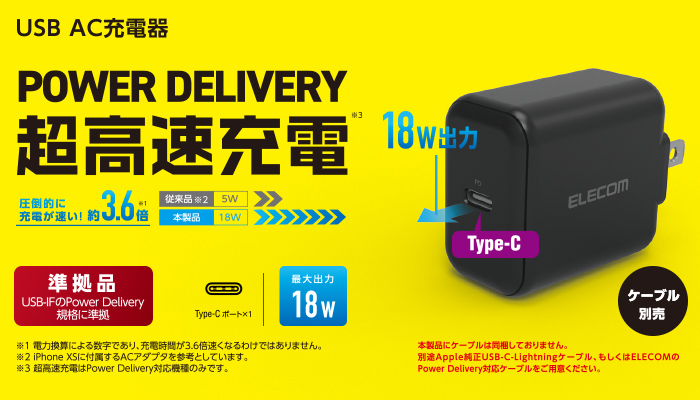 By providing each a USB Type-C and Type-A port, the Anker PowerPort II with Power Delivery charger conveniently enables charging two devices quickly at the same time. 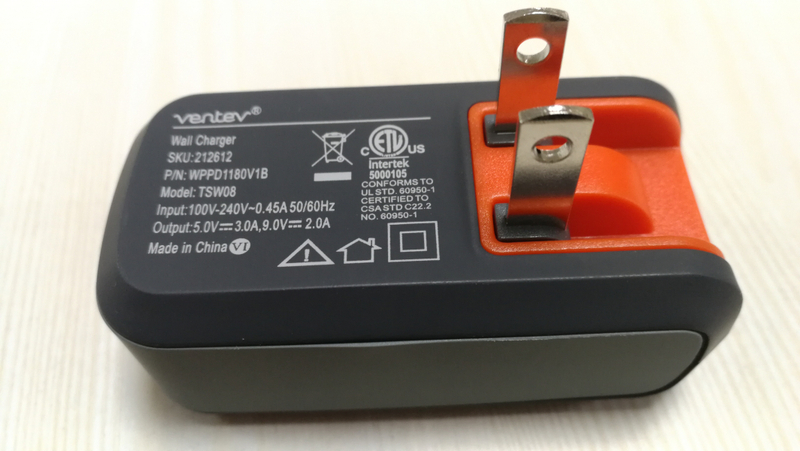 Here's a closer look at the charger while being removed from its packaging. 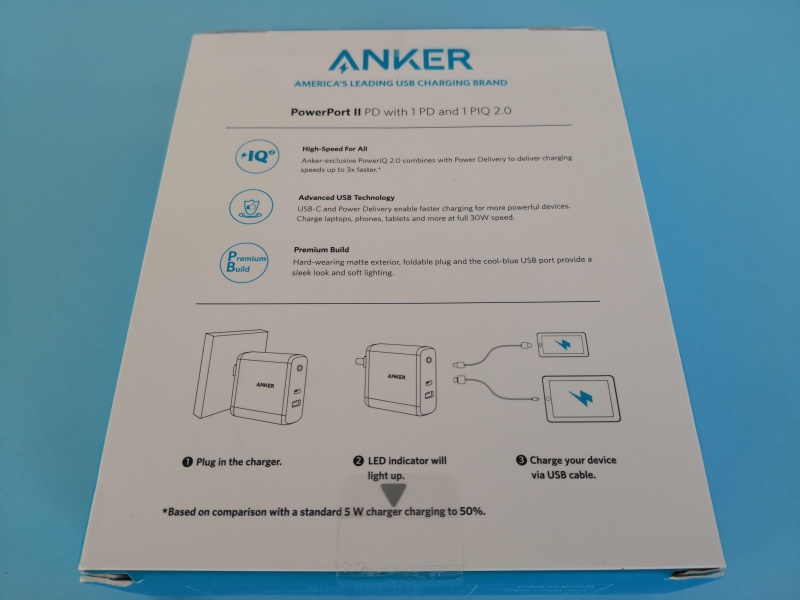 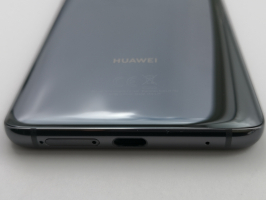 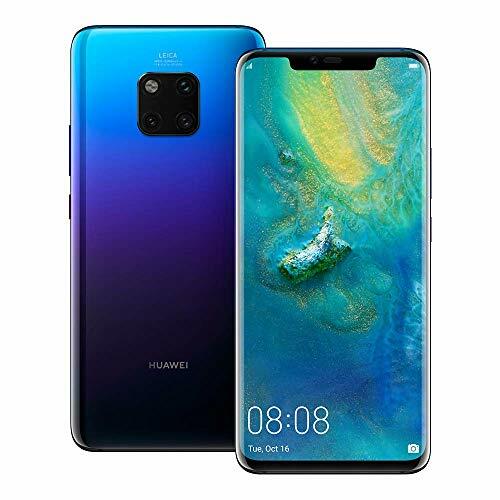 Note just in case you need to simultaneously charge more than two devices quickly, you can also opt for the more expensive Anker PowerPort I PD with 1 PD and 4 PIQ charger which offers up to 5 USB ports for charging. 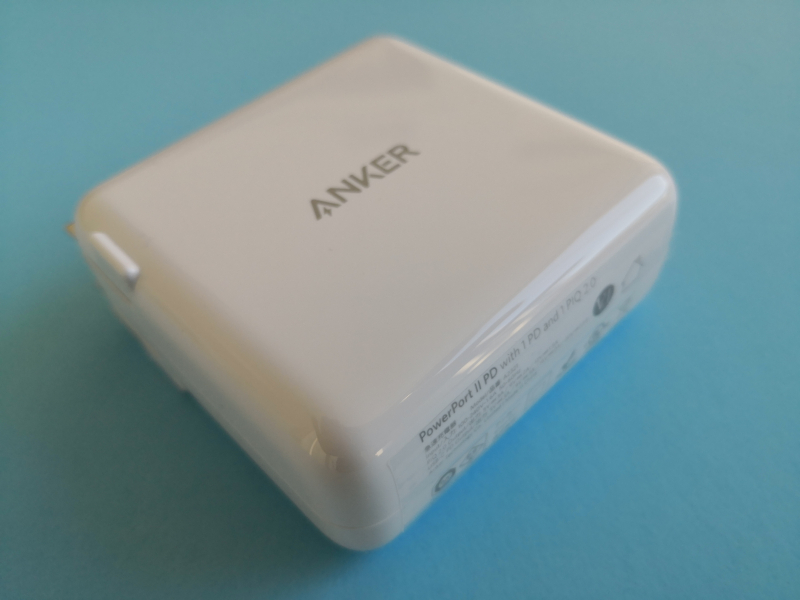 The Anker PowerPort II with Power Delivery charger claims on its box to output up to 49.5W when charging two devices in parallel. 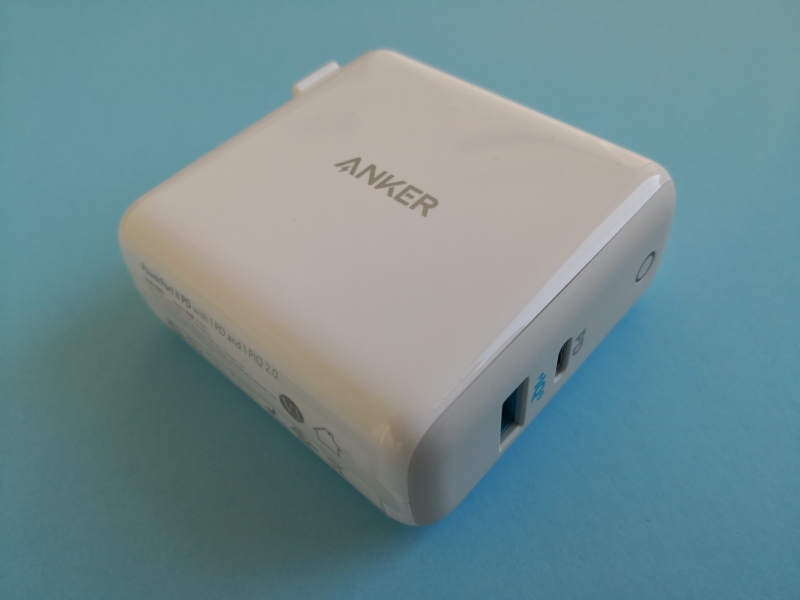 The Anker PowerPort II with Power Delivery box is designed nicely giving the charger a premium look. 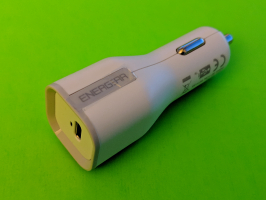 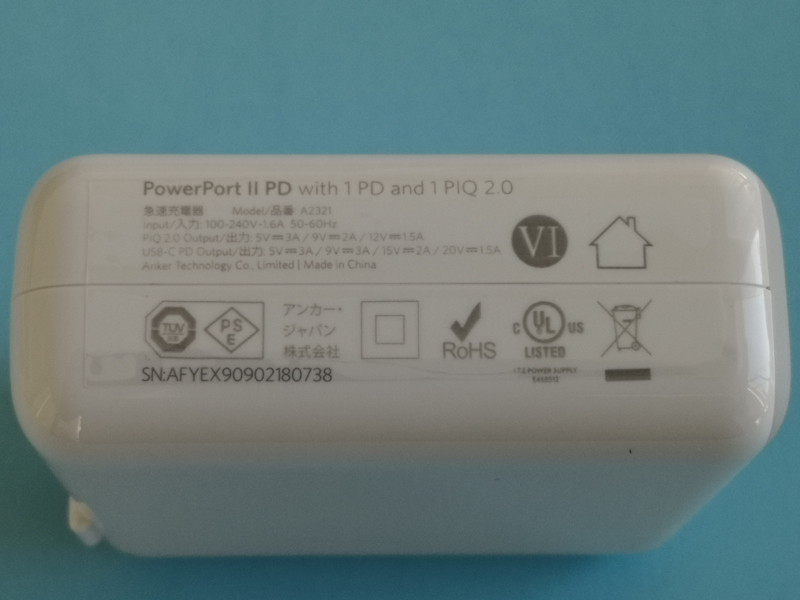 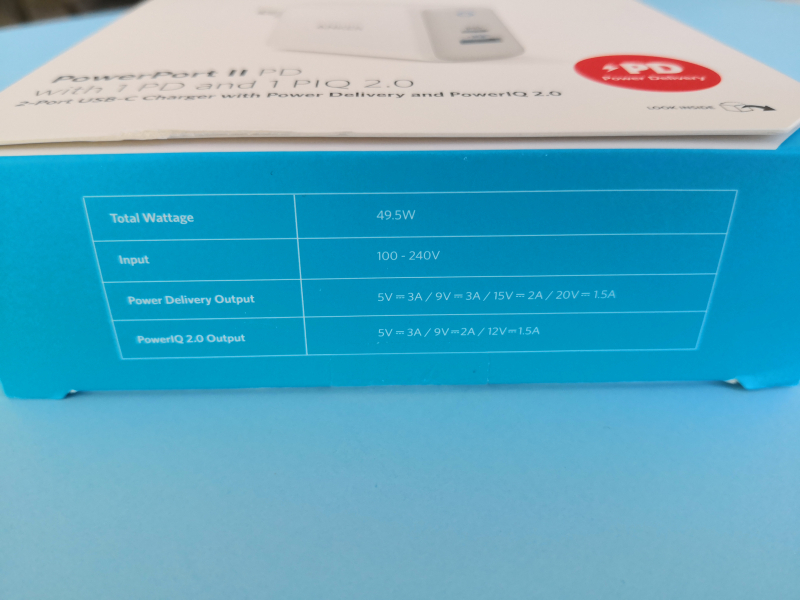 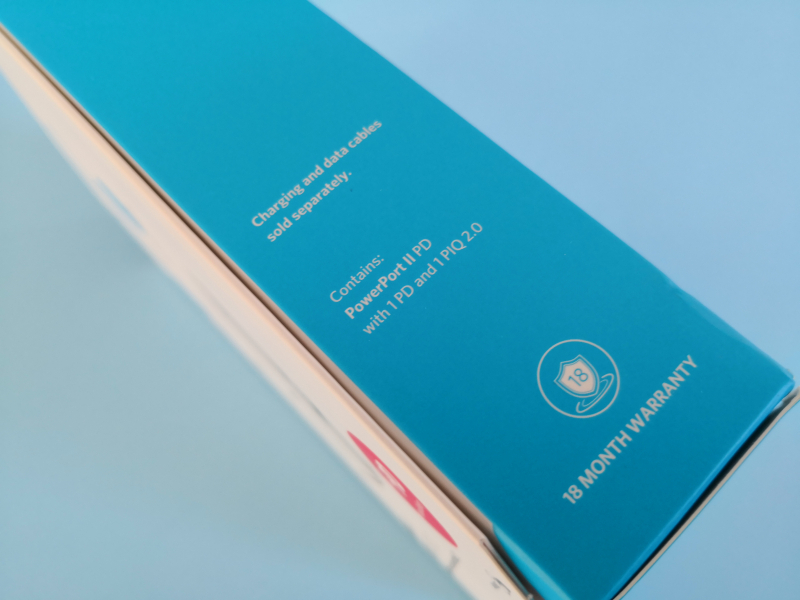 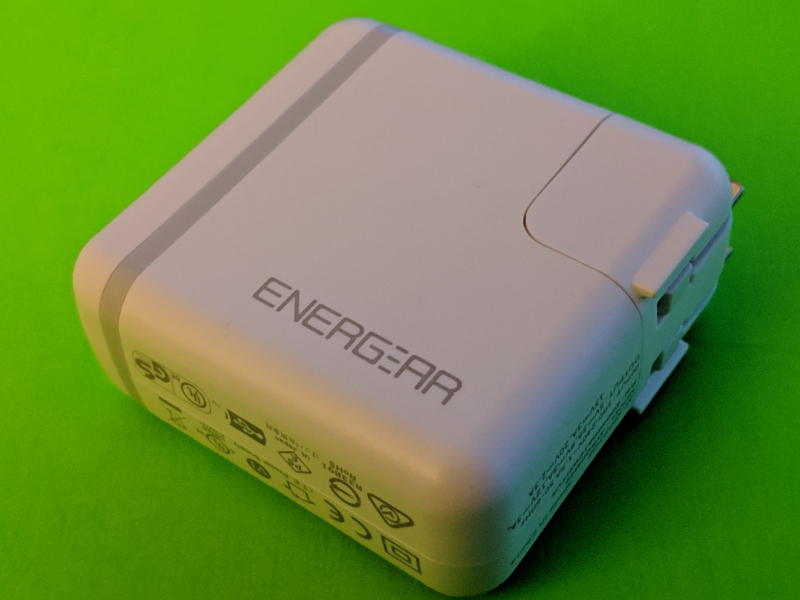 The Anker PowerPort II with Power Delivery charger also has a USB Type-A port that Anker claims to support 15 watts (5 volts @ 3 amps), 18 watts (9 volts @ 2 amps) and 18 watts (12 volts @ 1.5 amps) using its own proprietary PowerIQ 2.0 charging scheme. 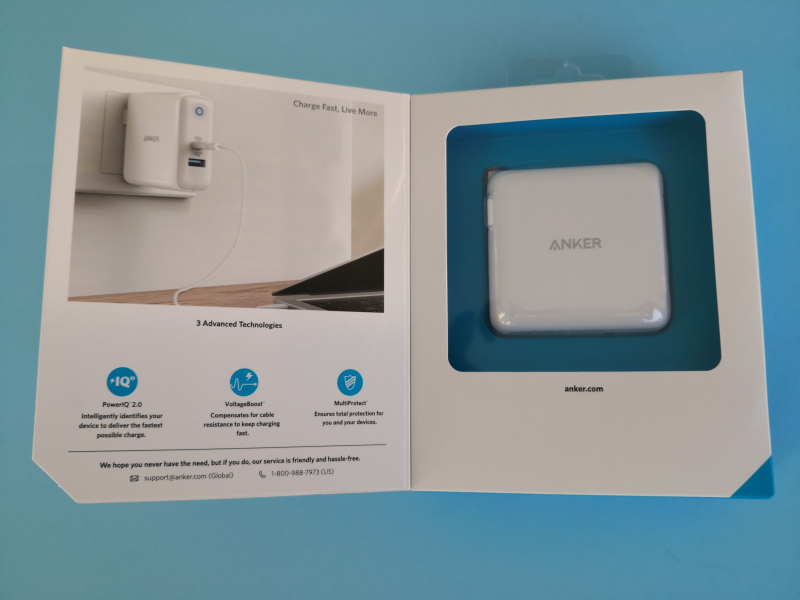 There were no other accessories that came with the Anker PowerPort II with Power Delivery charger except for a instruction guide. 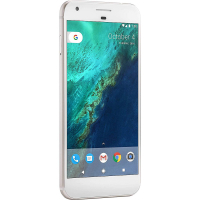 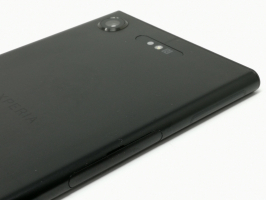 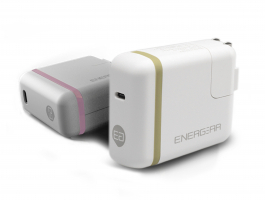 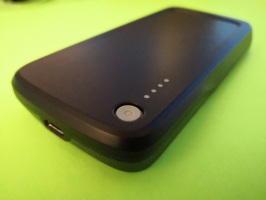 The charger has a compact design that matches Apple's look and feel and can be easily carried along everywhere. 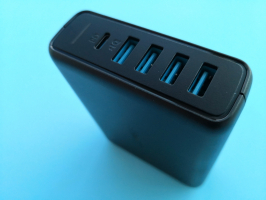 The Anker PowerPort II with Power Delivery charger also sports a charging indicator button on top of the USB ports. 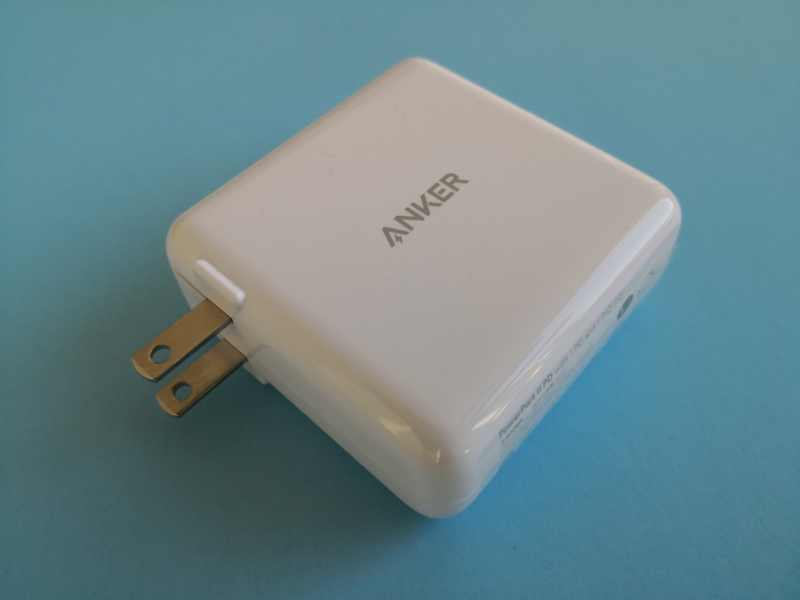 For own power supply, the Anker PowerPort II with Power Delivery charger comes fitted with ac wall prongs for plugging into a ac wall socket. 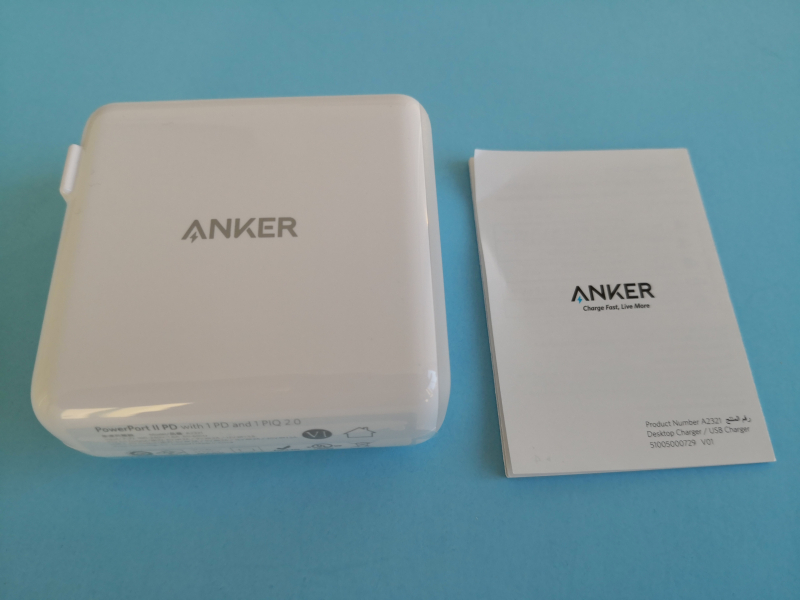 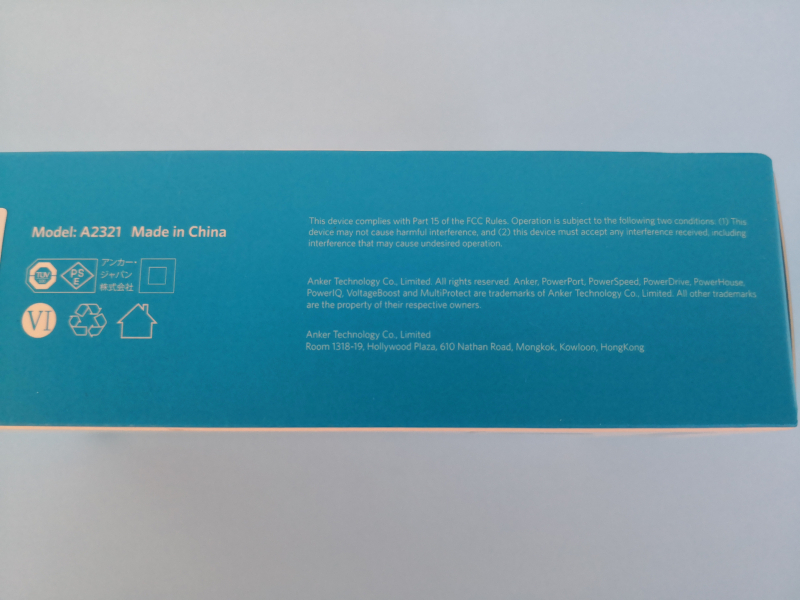 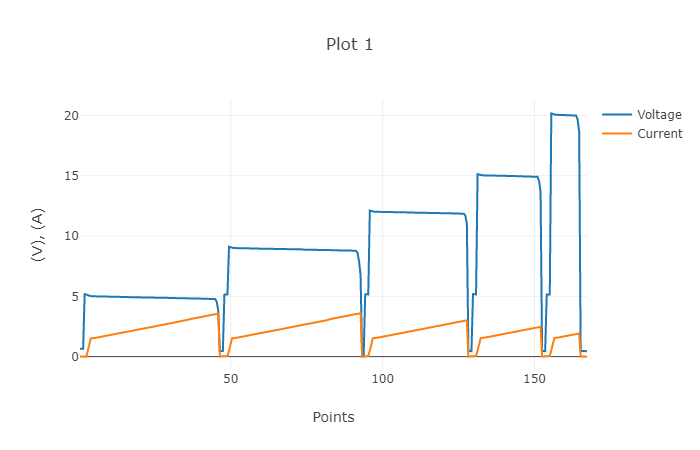 Using the USB Power Test App from Granite River Labs with the Granite River Labs USB Power Delivery Compliance C2 Tester, we generate the following test results for the Anker PowerPort II with Power Delivery charger to have a quick look at the charger's power capabilities. The USB Power Test App reports out all the PDO's supported by the Anker charger and their OCP thresholds. 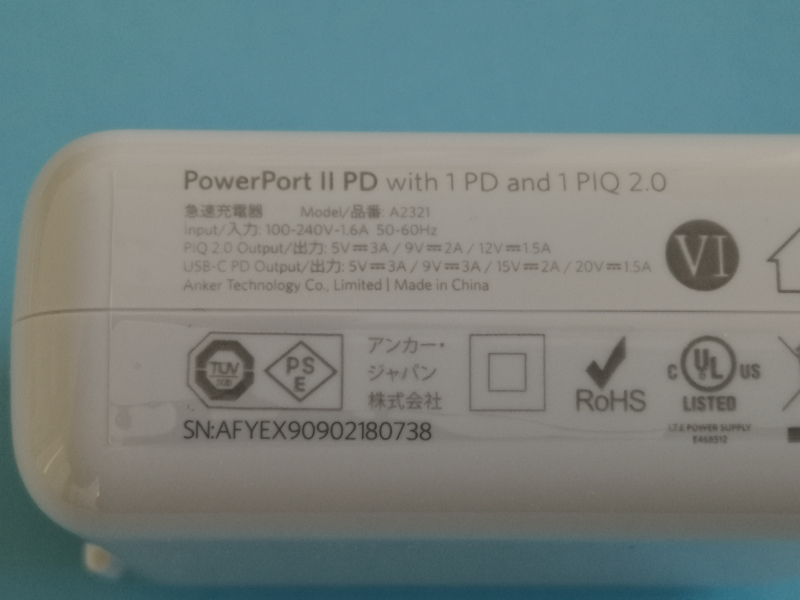 For some reason there's an additional PDO of 30 watts (12 volts @ 2.5 amps) not listed in the charger's specs. 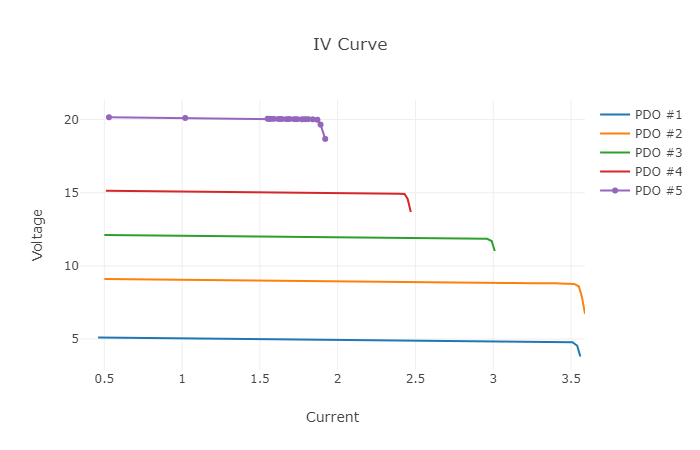 The USB Power Test App from Granite River Labs takes this data to produce an I-V curve which graphically shows the relationship between voltage and current for each PDO. 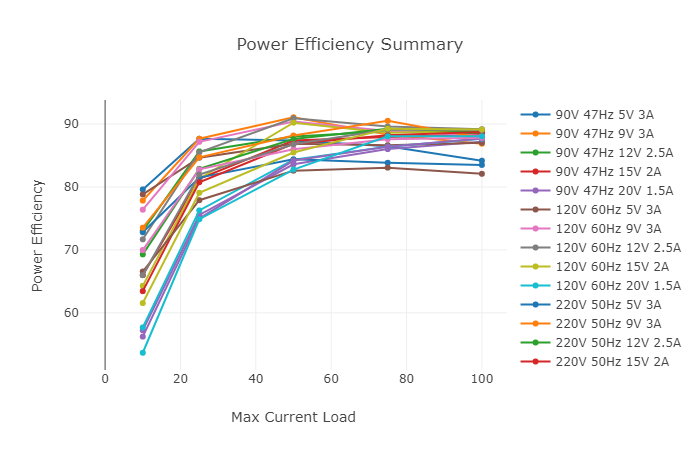 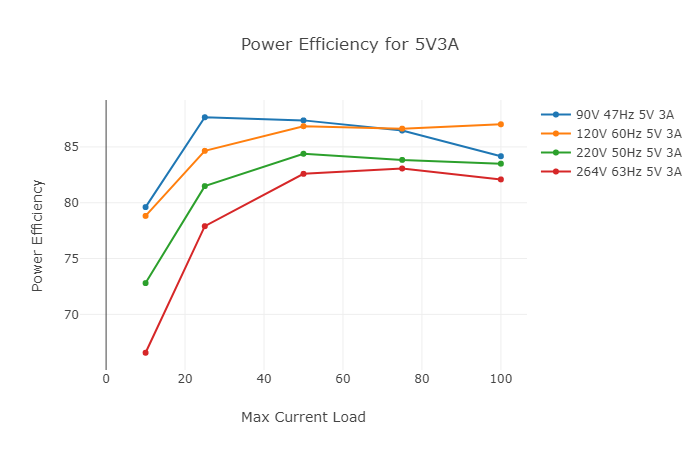 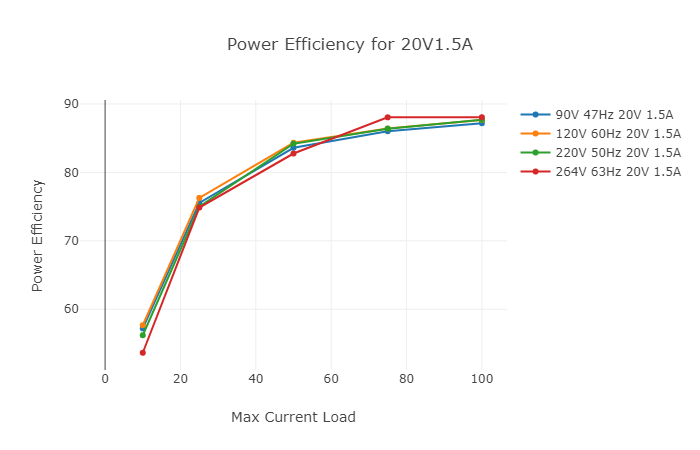 Even though Anker does not specifically state that the Anker PowerPort II with Power Delivery charger supports PPS (Programmable Power Supply), we can observe current fold-back behavior where as the current increases beyond the OCP threshold, the voltage starts to curve down rather than immediately shutting off, which is the typical behavior of most PPS chargers. 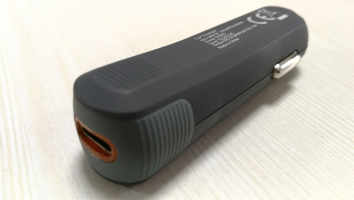 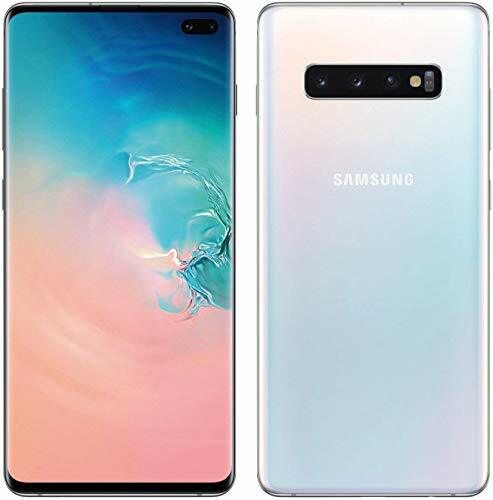 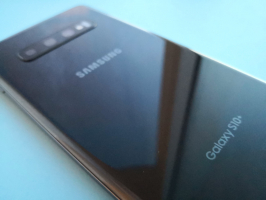 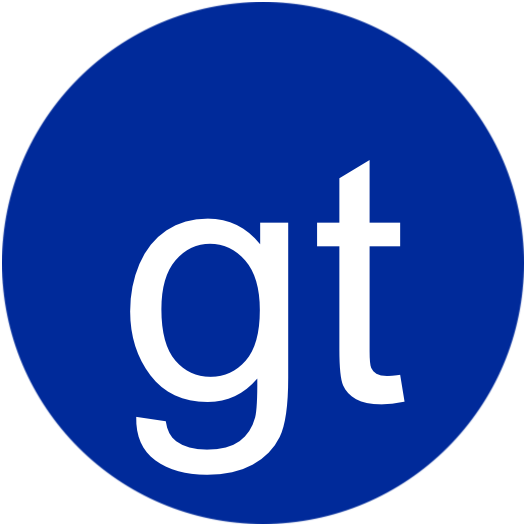 Using the USB Power Delivery Compliance C2 Tester from Granite River Labs to run just a subset of the full USB Power Delivery compliance test suite, some compliance failures were observed for the Anker PowerPort II with Power Delivery charger. 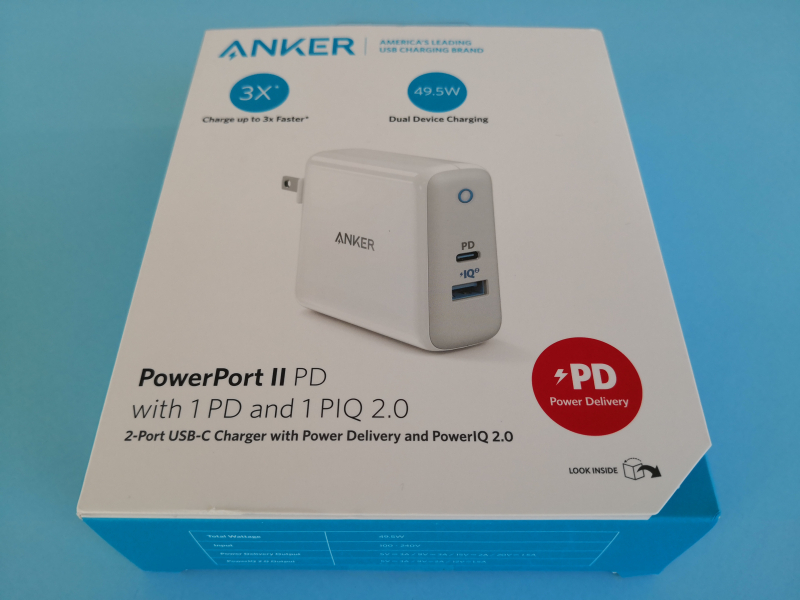 We look forward to testing the Anker PowerPort II with Power Delivery charger on various USB PD products in the market.